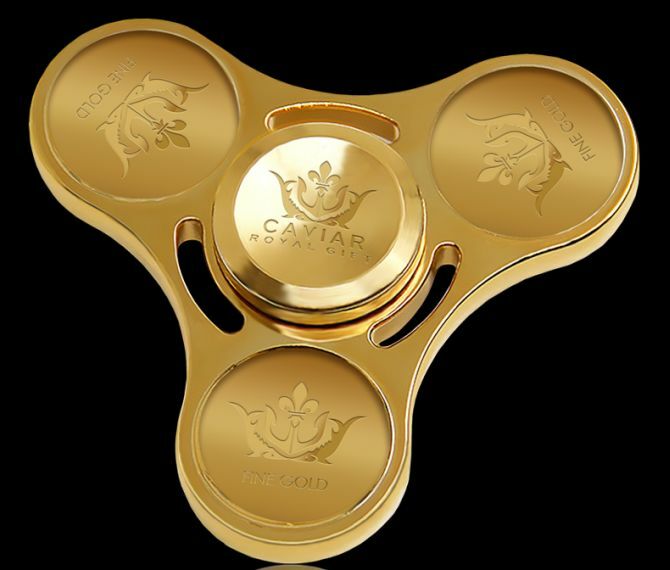 Caviar, Russian luxury jewellery firm has unveiled the world’s most expensive fidget spinner which is coated in 100 grams of gold and is priced at hefty £13,000. 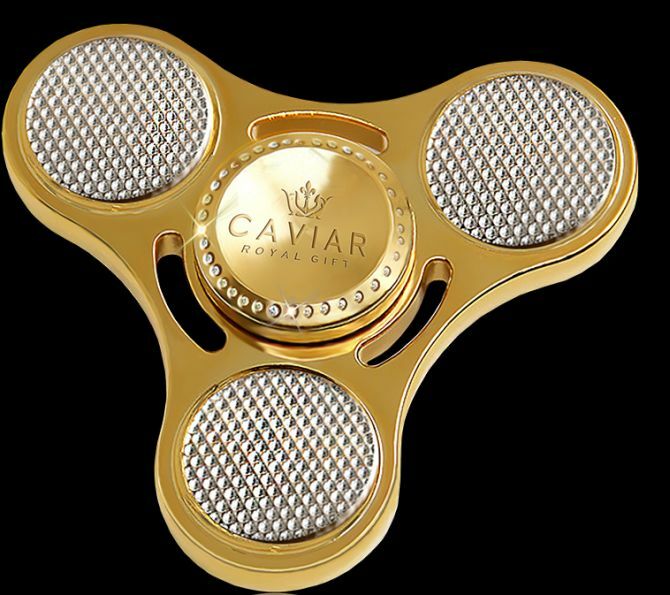 The gold-plated gadget called ‘Caviar Spinner Full Gold’ is a limited version and is about to hit the stores. 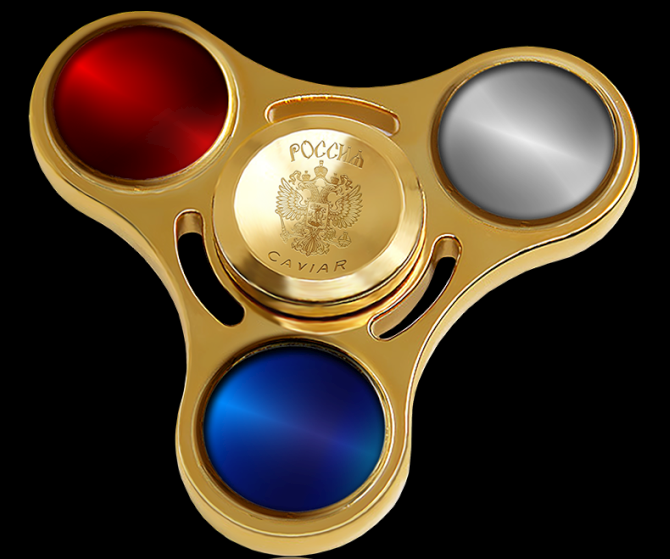 Well, if that’s too much for you, Caviar has also revealed few other less expensive variants of the famous spinning toy. Loaded with precious gems, one variant in the collection is ‘Caviar Spinner Diamonds’ edition which will cost you about £1,290. Another one embellished with colors of the Russian flag is available for 14,900 rubles (£190). 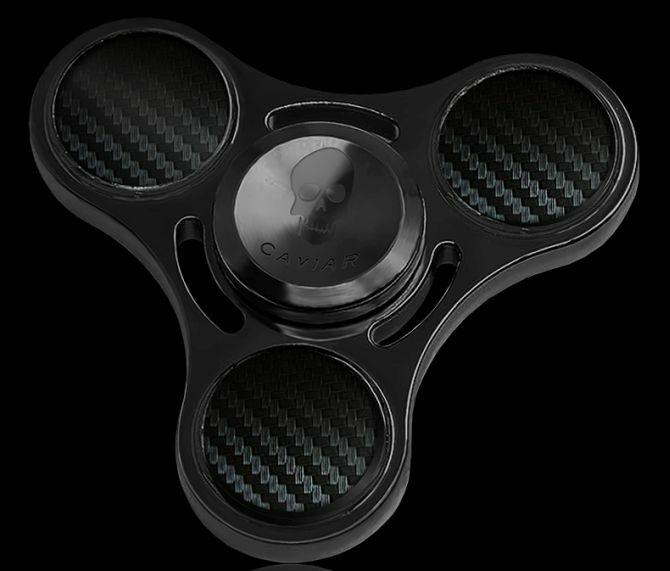 Also, there is a black spinner featuring a carbon fiber skull and one embedded with Swarovski-style diamonds as well. Both designs are priced at £190. Back in 2015, the Russian company unveiled a gold-gilded Apple Watch featuring Putin’s signature. Also, earlier this year, Caviar released a bespoke Nokia 3310 with a peculiar gold tribute to Vladimir Putin. The firm is also known to for selling Vladimir Putin-themed iPhones and special-edition Donald Trump iPhone 7 cases.